HoduSoft Pvt. Ltd., located in the heart of Ahmedabad city, in India, serves best-in-class VoIP Softwares all over the world. Being one of the leading business communication software providers, the company offers communication software which is robust, flexible, advanced yet affordable. Recently, HoduSoft announced their participation in theCall & Contact Centre Expo, which is going to held in Excel London, from 27 – 28 March 2019. 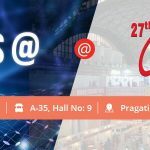 The team of HoduSoft is going to showcase its expertise in VoIP Business communication softwareHoduCC – Omnichannel Contact Center Software. Call & Contact Centre Expo is the only platform in this region which demonstrates the convergence of technologies in Telecom, IT, Broadcast & Digital media sectors. During this Expo, thousands of companies from all over the globe are going to present their cutting-edge technologies. Visitors will have a wide array of technical yet innovative trends of the IT industry. Every Business communication software offered by HoduSoft assists users to increase their work efficiency and create value for their business. Thus, remote communication and collaboration are simplified with the help of these products. We are having our customers in 26 countries and 5 continents. We have 51 companies have partnered with us to offer HoduSoft products in their respective regions. We are constantly advancing to expand our presence worldwide. “We anticipate Call & Contact Centre Expo to be a great platform wherein we will have various opportunities to unfold our offerings that have helped many industries so far. Our products have been designed to collaborate remote communications, that are benefited to all the industries such as Call Centers, Healthcare, E-commerce, Auto, Insurance and so on.”, Our CBDO Mr. Kartik Khambhati added. He also mentioned, “We always strive to grow and boost our market presence by catering robust, advanced and state-of-the-art IT solutions and products and being client-centric”. Brimmed with business-focused features and specifications,HoduCC – Contact Center Software, HoduPBX – IP PBX Software, HoduConf – Audio & Video Conference Software & HoduBS – Voice & SMS Broadcasting Software are used to bridge the remote communication in an effective manner. HoduSoft Pvt Ltd is well-known for being cost-effective and the best-fit software provider that in turn make your business successful. With a dedicated approach towards developing world-class products, HoduSoft has emerged as a leading business communication software provider. With a wide array of products, HoduSoft also ensures best returns on technological investments.